What do you look for in a t-shirt? Wish you had a high quality t-shirt that you could wear to the club, looks good with and without your jacket, is comfortable, stylish and fits well? That’s our aim here at COLLECTR. For your comfort, our goal is to make a t-shirt for you that is soft and breathable. The sense of touch is a miraculous sense that covers the entire body. A t-shirt comes into contact with just under half of your sense of touch. So we search for softest feeling fabric. Even though polyesters are soft, we’re not interested in wearing recycled water bottles. Cotton/Modal is really soft but a bit too silky for our tastes. For breathability, we wanted to stay with cotton. But with cotton, you often getting pilling. You may have seen these small balls of fiber on your t-shirts. This is caused by loose fibers pushing out of the cloth. This happens more with short fibers because there are more end fibers that work their way of out of the cloth. One technique to remove these is with an enzyme wash. Enzymes are actually living organisms that “eat” away the cellulose, removing excess fibers. It’s used on t-shirts to simulate multiple washes. Not to worry though, by the time you get the shirt, “most” of the enzymes a gone. So what about a long staple cotton? We found the solution in Supima® cotton. Supima® cotton is a long staple cotton grown in the USA. It leaves the knitted fabric feeling naturally soft. What about style? Want a t-shirt that’s more than just a shirt to do chores in? Well so did we. One that is stylish enough for your jacket, and can be worn at a restaurant or club. One that is fitted in the chest and tapered at the waist. One that is ideal for men with an athletic build and is not constraining. We’ve added style to the t-shirt by opening up the neckline and using a cross cut fabric to give the neck line a finished look. For the more conservative types, we also offer a 1x1 rib neckline. It’s interesting how what we wear affects our attitude. If you’re not comfortable in the clothes you’re wearing it shows in your behavior. The feel of your clothes can also make you confident. Getting on that nice rental tuxedo for a wedding makes you “feel” awesome. We’ll our soft Supima Cotton t-shirts can also make you feel awesome. It’s that feeling why we might spend $1000 on a suit rather a few hundred dollars. Or spend $35 on a t-shirt instead of 4 for $20. All the COLLECTR t-shirts are manufactured in the USA. The cotton is grown here in the Southerwestern parts of the USA, spun into yarn in the Southeast, then knitted into fabric and sewn into t-shirts is Los Angeles, California for the highest level of quality control we can achieve. 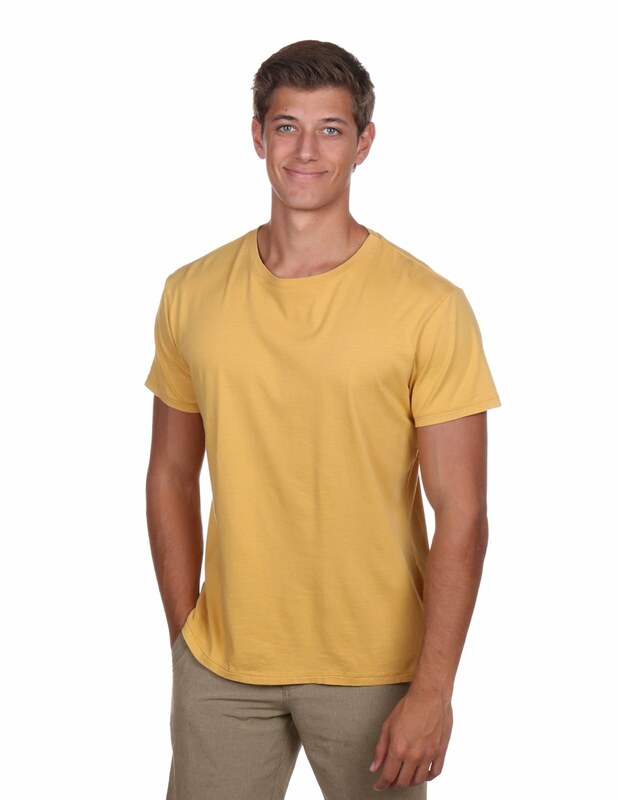 The COLLECTR t-shirts enhance the feel, softness, drape ability creating more luxurious t-shirt.